The Lake District - A UNESCO World Heritage Site. 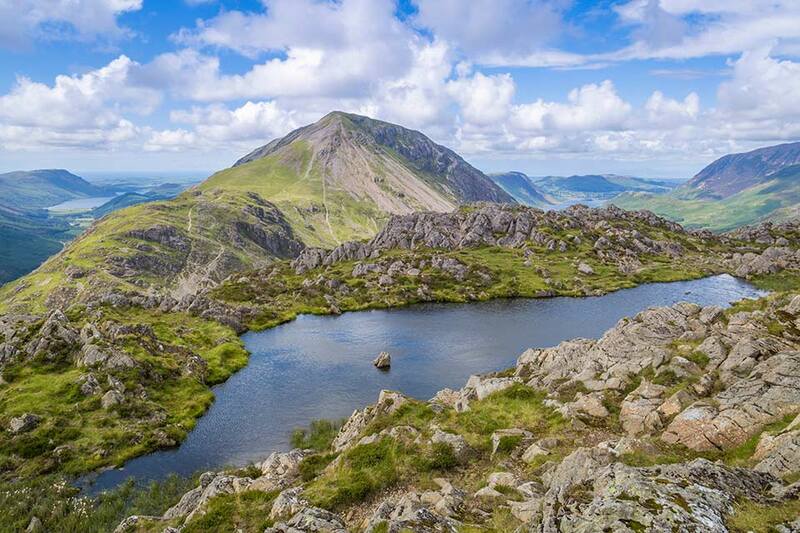 Some of the Most Stunning Mountain & Lake Scenery in the UK - Explore and Enjoy! Ellwood House is in a perfect location for an enjoyable and relaxing stay in the Lake District National Park. On the edge of picturesque Caldbeck Village, there are lots of quiet lanes or footpaths to explore. The Northern Fells are the undiscovered part of the Lake District. You can walk for miles without seeing a soul. 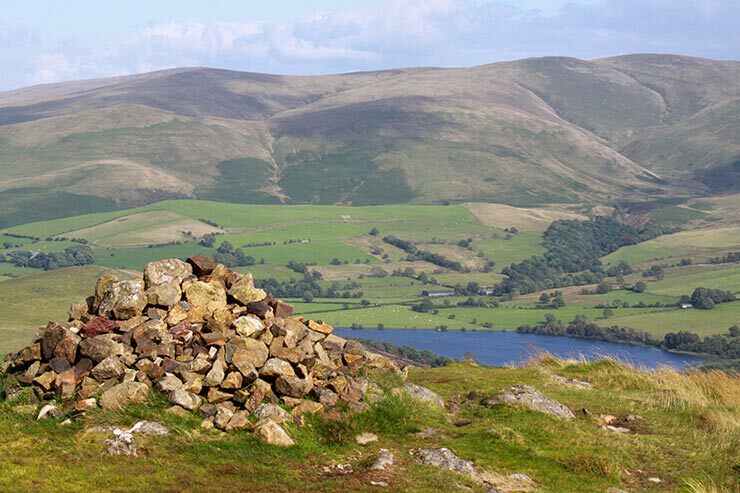 There are some superb walks to be had straight from our door - High Pike and Carrock Fell are popular with some fascinating mining history from the 18th and 19th centuries. All of the hills at the back of Skiddaw and Blencathra are within easy reach and there are many more gentle walks to be had around the local Caldbeck & Uldale area. 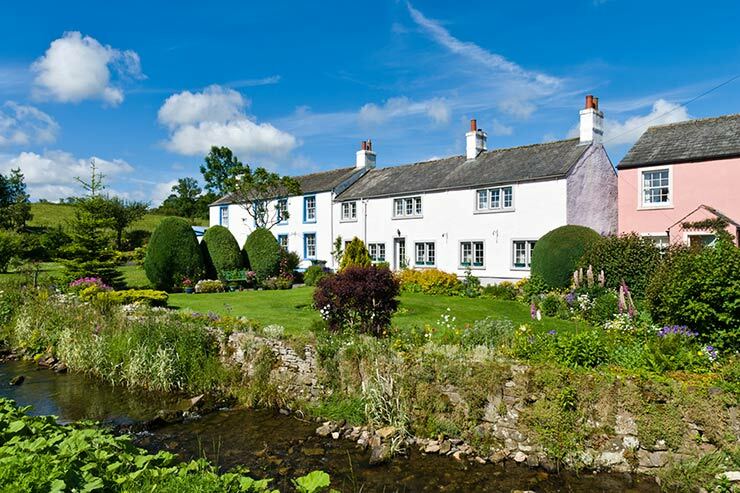 The Howk is a beautiful short walk from Caldbeck village. The view from Binsey summit is one of the best in the Lakes. Stunning scenery and walks everywhere and quiet too. Caldbeck has a village pub (The Oddfellows), a couple of lovely tea rooms, the village shop & post office as well as some interesting shops. Also check out the Old Crown pub in the next village, Hesket Newmarket (1.5 miles) - a personal favourite!! The Lake District is now a UNESCO World Heritage Site joining iconic locations such as the Taj Mahal, the Great Barrier Reef and Grand Canyon as a place of international acclaim! Home to Scafell Pike - it's highest moutain, Wastwater - it's deepest lake and some of the most stunning scenary in the UK. Ullswater, Derwentwater, Bassenthwaite and Buttermere are all popular destinations within a short drive from Ellwood House. Keswick is the outdoor capital of the Lakes with its plethora of quality outdoor equipment shops, great pubs, restaurants and cafes - something for everyone. 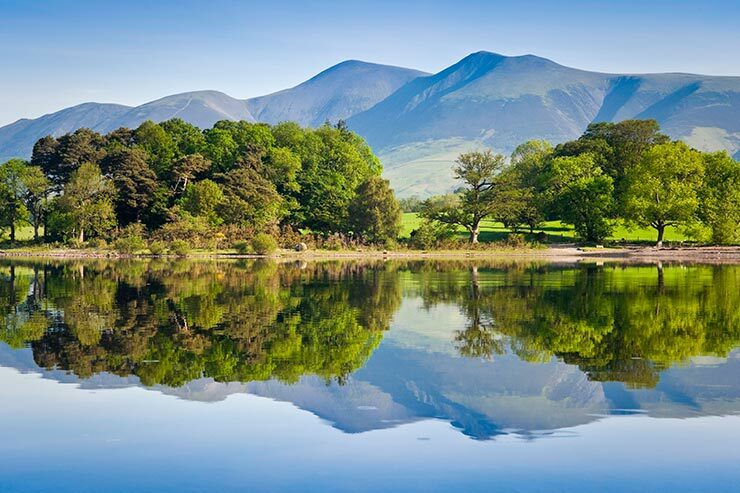 It's surrounded by stunning mountain scenary including the majestic Skiddaw. the 4th highest in the Lakes at 3053 feet high. Take a boat ride on Keswick Launch on Derwentwater and soak up the beautiful views. You can stop off at various points around the lake and combine the trip with a walk along the lakeshore. Ullswater is another beautiful lake also easily reached from Caldbeck. Ullswater Steamers - see the lakes close up and enjoy the stunning mountain views! Helvellyn and the famous Striding Edge can be climbed from this area. This is a fantastic area for fell walking and mountain biking, watersports and much more. The scenery is breathtaking and just waiting to be explored. 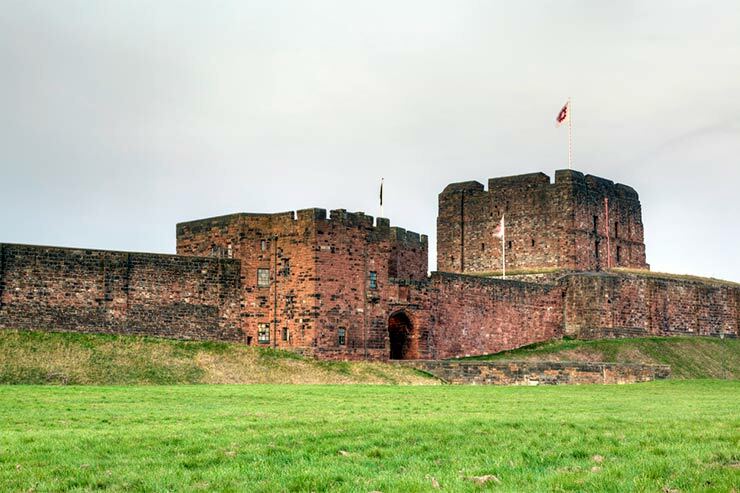 The border city of Carlisle with its excellent market and extensive shops is only 13 miles away. Together with its historic Castle, Cathedral and Tullie House Museum, this really is an interesting place to spend some time. Discover the history of the Border Reivers. For those of you into horse racing, there is also the famous Carlisle Race Course - a jocky club racecourse. Racing fixtures are available most of the year and is full of family fun days. Solway Aviation Museum at Carlisle Airport - a collection of Cold War RAF jets from the 1950's and 60's including the Avro Vulcan and English Electric Lightening. The famous Roman Wall - Hadrian's Wall - another UNESCO World Heritage Site - is within striking distance of Ellwood House. Discover 2000 years of history and see how the Roman Legions lived in this magnificant Border countryside. Birdoswald Roman Fort near Gilsland and Lanercost Priory are just east of Carlisle off the A69 and are well worth a visit. 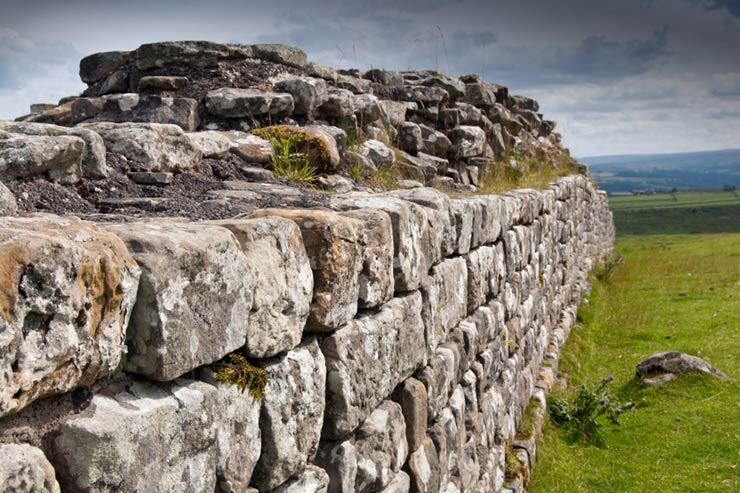 Plus you can walk part of the Hadrian's Wall National Trail and explore the best bits of the Roman Wall. Cockermouth was made famous in November 2009 when it flooded. Now the entire main street area has recovered and the shops, pubs and restaurants renovated. It makes for a fantastic place to do a spot of shopping in the many indivually owned shops, superb restaurants such as Quince and Medlar, and traditional pubs such as Castle Bar and the Bitter End (with its own brewery). 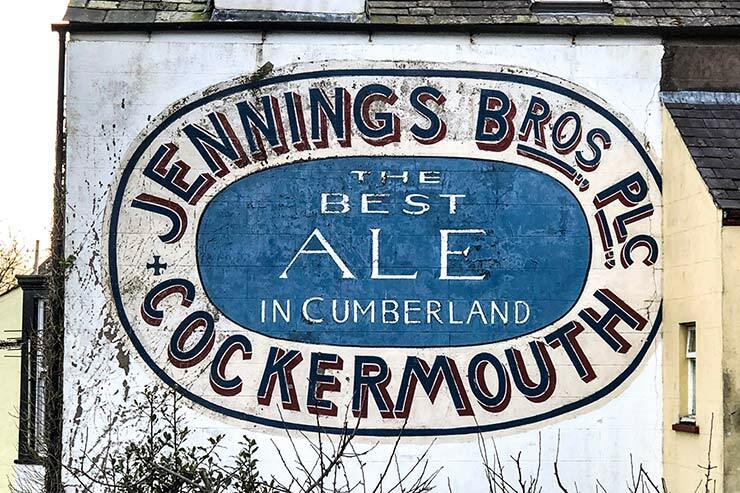 It is also famous for Jennings Brewery, brewing excellent beer since 1828 - take a brewery tour and discover the history of Cumbria's favourite tipple. It's also home to the birthplace of William Wordsworth at the Wordsworth House and Garden - owned and run by the National Trust. 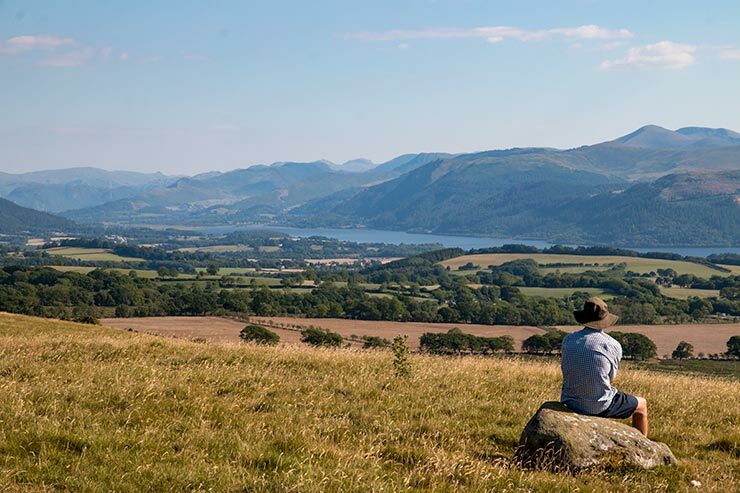 Visit the award winning Lakes Distillery - close to Bassenthwaite Lake. Do the fascinating tour, visit their amazing spirits shop or sample their delightful food in the Bistro. 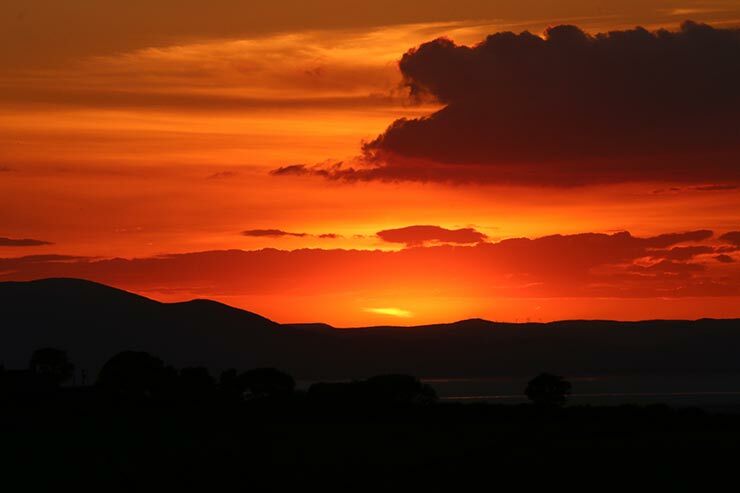 We're also near to the Solway Coast Area of Outstanding Natural Beauty (AONB), famous for its stunning sunsets, abundant bird life, beautiful coastline walks and numerous golf courses. Very different scenary to the Lake District. To the south are the historic ports of Maryport and Whitehaven. - well worth a visit.